Mindy Larson, Assistant Professor of Education, reading Harvesting Hope: The Story of Cesar Chavez, by Kathleen Krull. 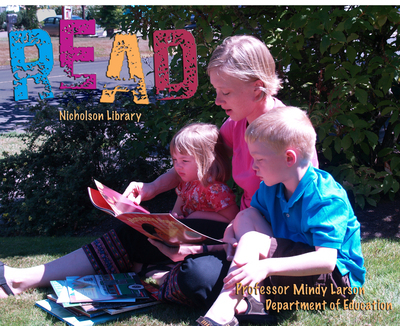 Terry, Paula and Nicholson Library Staff, "Mindy Larson READ Poster" (2007). READ Poster Gallery. Image. Submission 15.